What certificate(s) do I get at the end of the double degree programme? After 5 years you will receive an official certificate for both studies you have finished. Is it possible to combine WdKA or Codarts with a different study at Erasmus University? With this double degree you can only combine these studies with “Arts and Culture Studies” at Erasmus University, or with “Liberal Arts and Sciences” at Erasmus University College. You could combine different studies, but then you would have to organise this by yourself. What are the proportions of the two studies? The curriculum of each programme is designed in such a way that you will study at both institutes simultaneously; especially during the first two years you will obtain 30 EC on average at each programme. Do students receive a separate BSA per institute? Yes, each institute issues their own BSA, this means you will have to comply with the BSA requirements of both programmes. Is it possible to go on exchange? This is dependent upon the chosen combination of programmes. Is it possible to switch back to one study once I have started the double degree programme? Yes, as long as you have received a positive BSA for that programme. The length of the remaining programme is dependent on the combination and the year of study. Once I have signed up to both studies: how do I make known to both institutes that I want to do the double degree? Application guidelines will be published soon. When will I know whether or not I am admitted to the Double Degree? Once you have been accepted by both programmes you are admissible to the programme and will be invited for an interview. I am already currently studying at one of the programmes that participate in the Double Degree, can I switch to the Double Degree programme? No, spring intake is not possible at the moment. Is it possible to participate in the double degree with a colloquium doctum? Yes, although you would have to pass the entrance test at both studies. With a colloquium doctum you cannot study at EUC, but you can study at WdKA, Codarts or at Erasmus School of History, Culture and Communication. 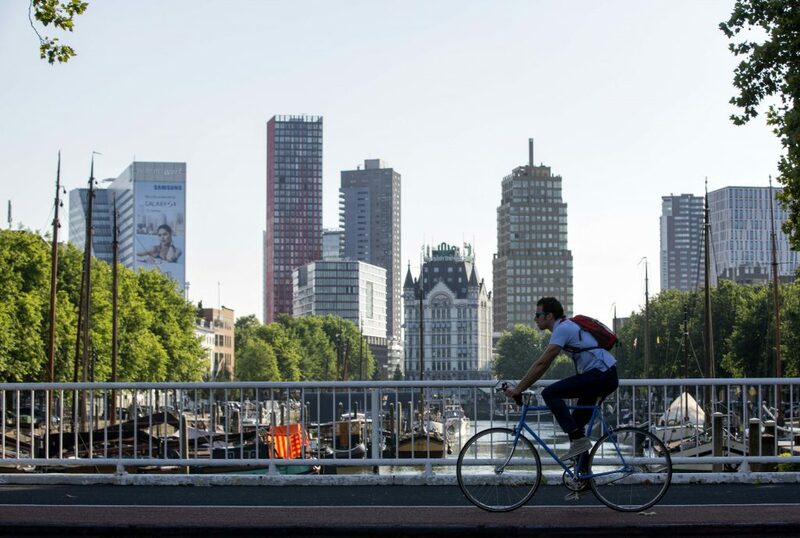 For more information about the costs of living in The Netherlands, see here. Do Double Degree students who choose to study at EUC have to pay EUC’s tuition fee for all five years of the programme? EUC Double Degree students are required to pay EUC’s tuition fee for the full length of their Double Degree programme. More information about EUC’s tuition fee. Will I be spending my first year at EUC on the campus? EUC is a residential programme, this means that during the first year of your programme you will be housed in the Student Hotel. For more information see this link. I need to move to Rotterdam, where can I find information about housing? You can find more information about housing on the websites of Arts & Culture Studies and Erasmus University College. If your question is still unanswered then don’t hesitate to contact us via our email doubledegree@rasl.nu.